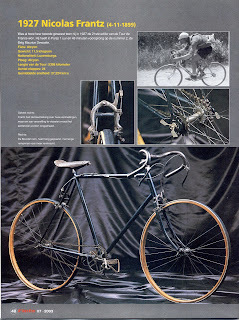 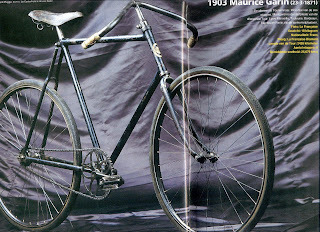 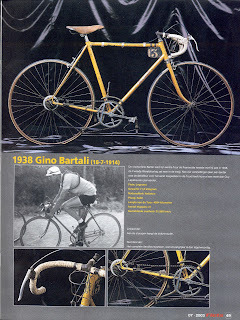 Interesting to see is that Maurice Garin had in 1903 a bike that was 18kg and had a fixed gear! 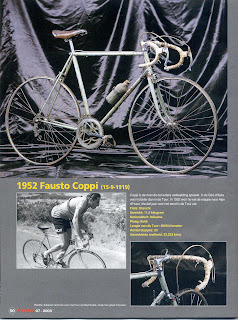 To climb the Cols more easily he could turn his rear wheel! 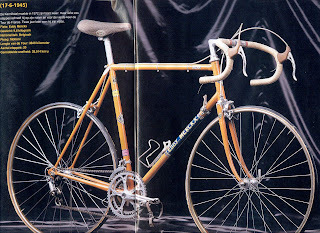 The bike of Jacques Anquetil (1962) was lighter: 10,2kg. 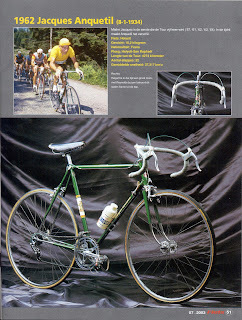 Following improvements lead to the bikes of Merckx (1972) and Hinault (1985) who had bikes weighing 9,6kg. 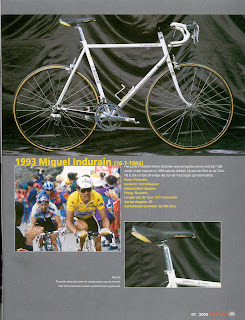 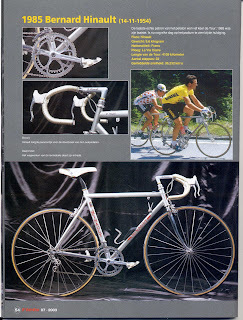 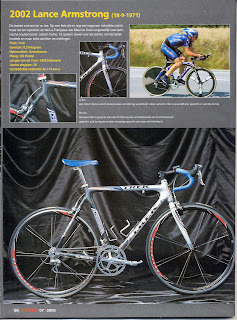 A picture from Miguel Indurain is an exception because in 1993 it was heavier, 10,6kg again.